Hello, Crafters! I've got butterflies on the mind...probably because there are Miller Moths every where I go - I think I just needed something prettier to look at! lol My last few projects have had a butterfly or two on them somewhere...well, today's project does, too! 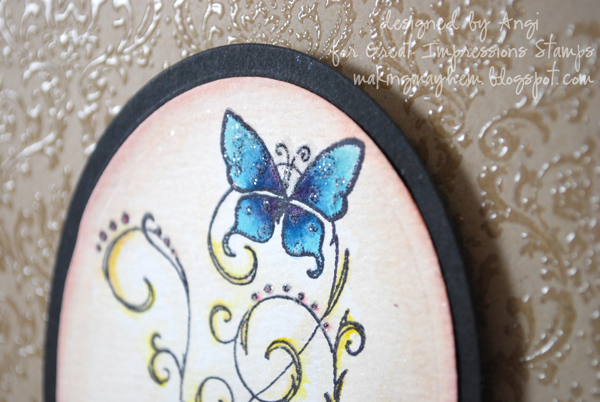 This time I stamped Butterfly Flourish (G405) onto watercolor paper. For the coloring, I used the Distress Markers. This is one of those stamps I liked from the first time I saw it, but for one reason or another didn't pick it up. Finally, I just ordered it! The background is the Damask Background (K91) (another favorite!) 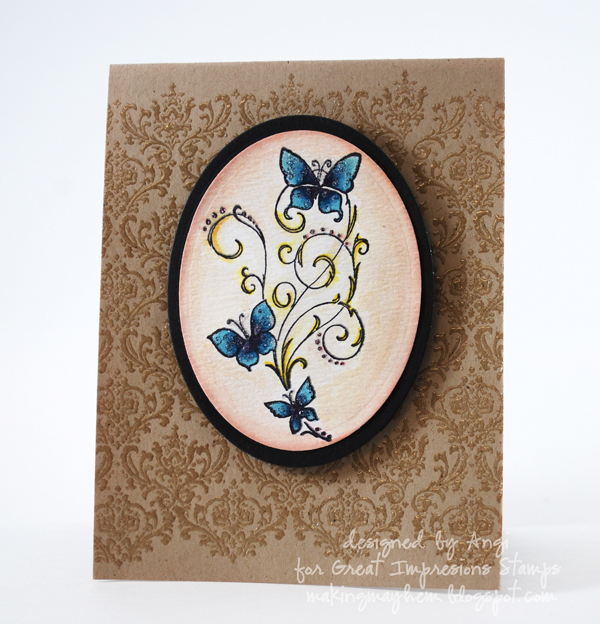 and is clear embossed on this week's card. Love the texture and depth embossing brings. Have you entered our May Challenge - Anything Goes, yet? It's so exciting to see so many new faces! If you need to read the guidelines - check out the sidebar; the challenge is located above the current posts. Make sure to scroll all the way to the end to link up. Can't wait to stop by to see your project! A real beauty! 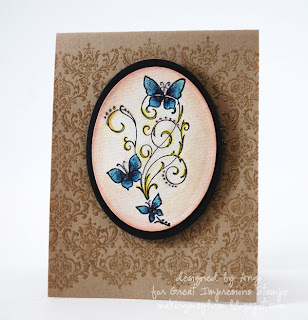 I love the embossed background and the soft feel of the distress inks.